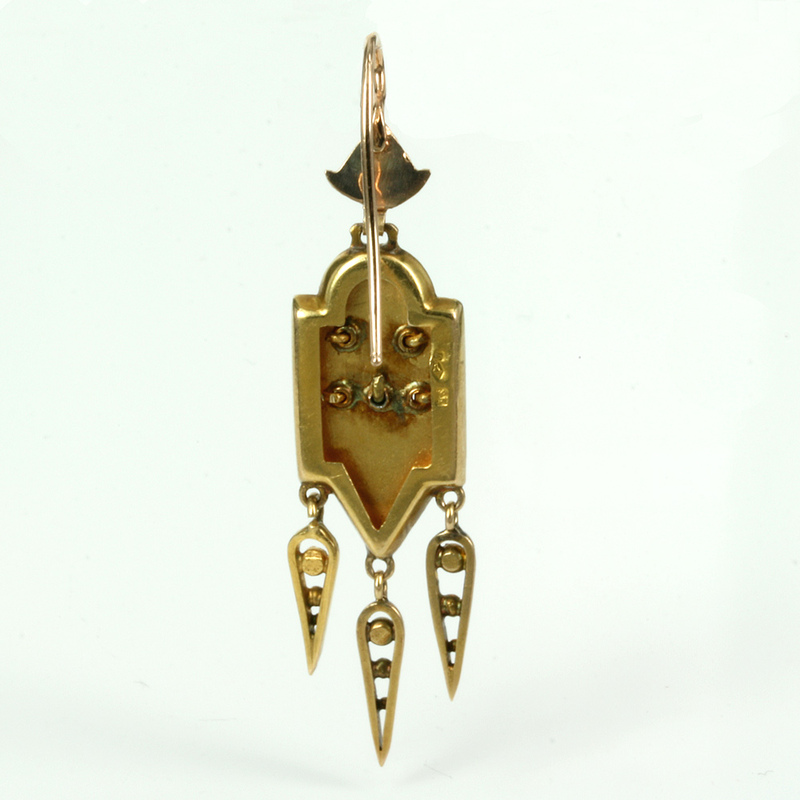 Product code: ES6164 Categories: Antique, Antique Earrings. 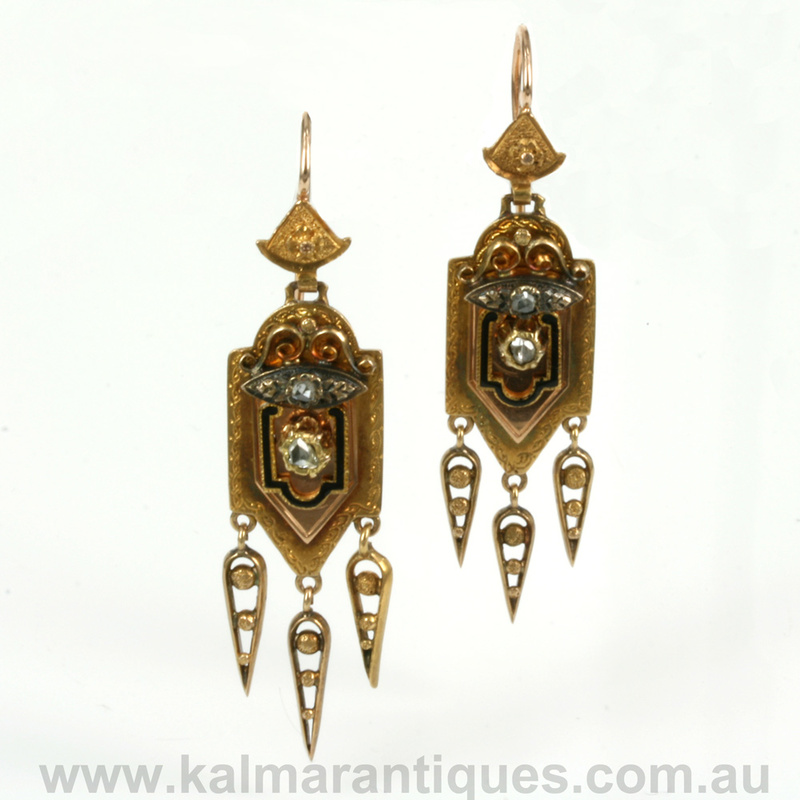 Here are a magnificent pair of antique earrings that are so exquisitely made and are of the finest quality. Made in 14ct gold in Austria in 1875, the attention to detail in these earrings are incredible. Each earring is set with three rose cut diamonds and the finest border of black enamel. However like so many fine antiques it isn’t just about the diamonds rather it is also the detail that is in each earring plus the three drops at the bottom. Measuring 14mm wide by 52mm from the bottom to the top section or 58mm from the bottom to the very top of the shepherd hooks, these earrings dangle so wonderfully on the ear, it is as though they have a life of their own when they are worn. Incredible day or night, these are certainly a magnificent pair of earrings that are made all the more incredible by being 140 years old.